Re The Great Island Debate. Pepe for all his tragi-comedic adventures seems inclined sometimes towards a sort of basic querying of premises. But is it fundamentalism or scientific skepticism to ask whether "Cork city centre is an island"? That dear reader is one debate straying mischievously from geography into philosophy perhaps? Of course exactly what is an island and what should be included on MV? Take a look at the picture. On the left the land is an island near Owey, included on MV and known as Torglass. On the right are two further islands which would be candidates. I haven't counted all the islands like this around Owey. Perhaps there are about a dozen. Around Ireland - hundreds or thousands. It is hard to see what criteria could be used to decide they should be included. In general their areas or heights are not recorded anywhere. 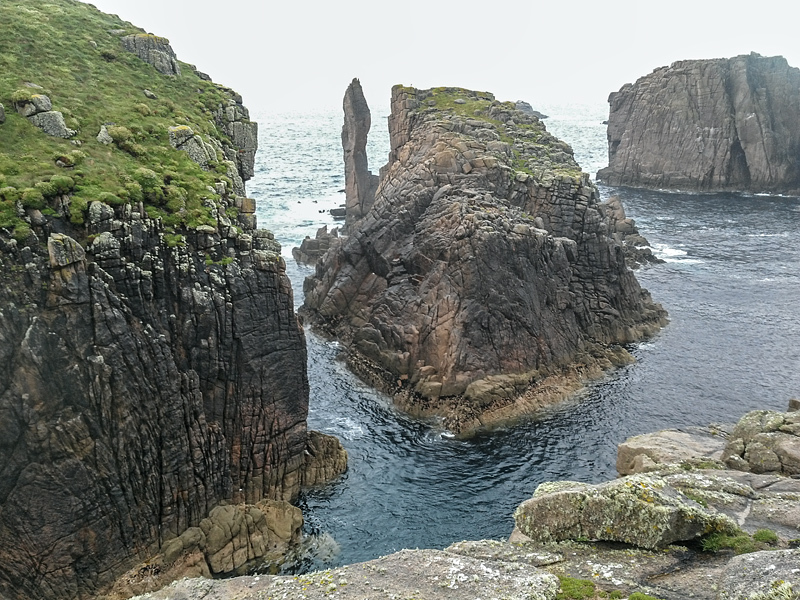 A few climbers have visited some of these islands but what value otherwise is there in including them on a walkers' website? Double difficulty - need a boat and then climbing skills. Serious climbing skills by the look of the middle island on the picture, whose highest point looks like it is a pinnacle. Currently the database only includes sea islands. The software behind MV has been set up to handle "inland islands" that is islands on lakes. Or at least that is the untested way the software is supposed to work. If someone wants to propose a new place for an inland island, why not try.